I have a soft spot in my heart for Clinique. It was the first high end department store brand that I ever purchased. My first foray into Clinique was the 3-Step skincare system which I am still using 18 months later. I loved it so much I went back to my favourite Clinique counter (Myer Bendigo) a couple of months later and purchased foundation, eyeshadow, mascara, eyeliner well pretty much everything I need to do my make up and proceeded to throw out a lot of my other drugstore products. 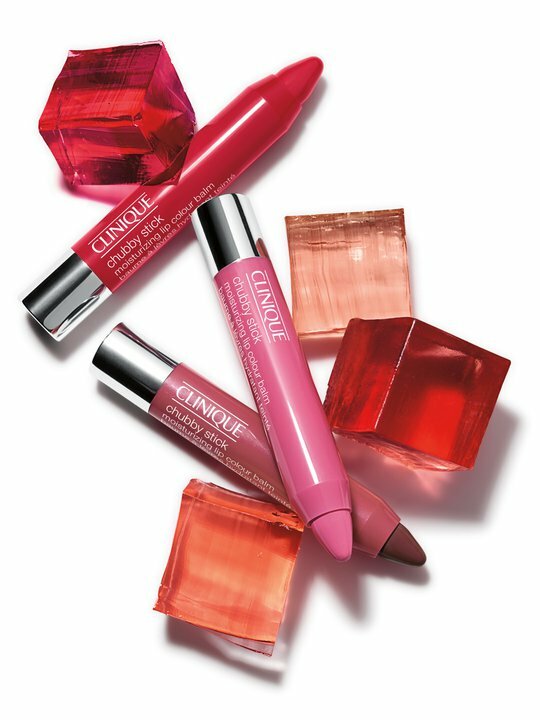 I was super excited to see Clinique were releasing Chubby Sticks last year and I could not wait to get my mitts on some. I actually made a special trip to a Clinique counter an hour away to get them (I've said it before, I am a beauty addict). I purchased two that day and have since purchased another four but my Mum nicked one and being a super daughter, I let her keep it so its not shown here. Chubby Sticks are a lip product I reach for very often. They are a tinted lip balm that I find very moisturising. I get dry lips very easily and there are some days that I can't wear lipstick but I still want colour and shine on my lips. I love how these apply a nice veil of colour that is moisturising and lasts for a good couple of hours before reapplication is needed. They come packaged in a cute wind up crayon looking tube. This is great because unlike some other gloss sticks, you do not need a sharpener. There is eight shades in total but the others are browns and I personally don't wear much brown on my lips. I love my Chubby Sticks and if you don't have one already I suggest you run (and fast) to your nearest counter to get your own! Do you love Chubby Sticks? I LOVE chubby sticks! I only have one (chunky cherry) but am planning to add the whole range when I finish P10P, they're so fun!